Join Us for a Holiday Appreciation Party! Home » Events » Join Us for a Holiday Appreciation Party! 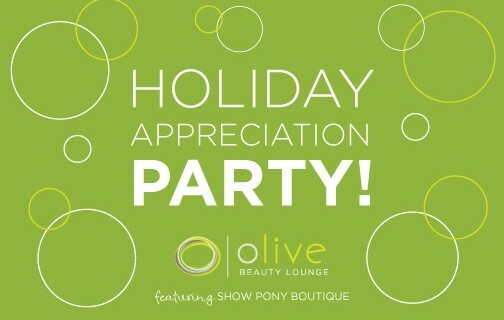 Join us December 7, 2014 from 12-4 PM for a Holiday Appreciation Party featuring Olive Beauty Lounge & Show Pony Boutique. Enjoy new holiday hair looks, mimosas, snacks & prizes! Please RSVP on our Facebook page.